Add some inspiration to your everyday with this pin badge. Perfect for adding to jackets, bags or even display boards, it's a great way to remind yourself of what's important. 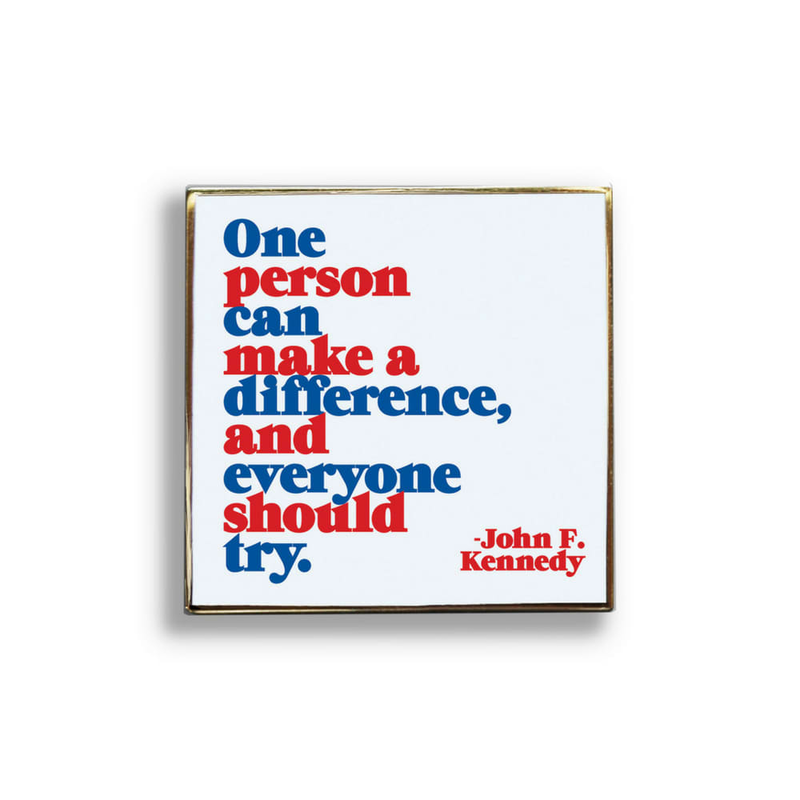 This badge features the quotation "One person can make a difference, and everyone should try." by John F. Kennedy. Gift in London, United Kingdom.